Christmas is a tough time for us single folks, a fact often overlooked by pastors, family, friends, and especially the retail community. If you're not feeling too merry this year, I have a few words I hope will put the holiday in its proper perspective. This is a season of unrealistic expectations. We worry about getting the "perfect" gift for everyone. We worry about how we look or act at parties. Some of us worry whether we'll be invited somewhere or have to spend Christmas alone. And, not least of all, we worry whether we'll get it all together in time. On www.inspiration-for-singles.com, I like to get to the heart of things and not sugar coat life. I want you to have a positive attitude about yourself and your future, but that doesn't come from putting a phony smile on your face or reading the latest self-help book. It comes from having faith in Jesus Christ. You want peace of soul this Christmas? Jesus can give it to you. In fact, he's the only thing that can give it to you, not just now but for the rest of your life. So don't let this season plow you under! 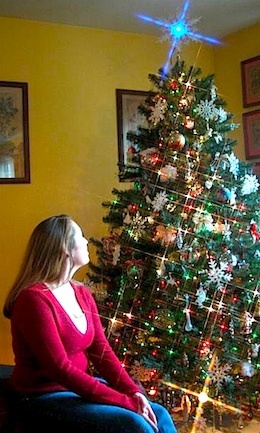 Let's scrape the frost and glitter and tinsel away and see how single folks can appreciate Christmas. but I know I will prevail. and I know I will prevail. on this journey when I fail. I know I will prevail. He holds my hand and leads me home. Yes, I know I will prevail. You can never truly enjoy Christmas until you can look up into the Father's face and tell him you have received his Christmas gift. God the Father's Christmas gift to you is his Son, Jesus. Jesus' gift to you is salvation and eternity in heaven. Think about that for a while. Take a whole day to ponder it. Realize that the motivation behind these gifts is love, pure, unconditional love. If you do nothing this season but come to understand God's gift to you, it will change you for the rest of your life. It will help you see clearly, keep you get on the right path, and make your heart feel full every time you think of it. Receive that gift. Cherish it. Let that love be the guiding force in your life from now on. Disappointment can put us single folks into a pessimistic mindset. We've been let down so many times, we hesitate to get our hopes up again. I'm here to tell you there's good reason to hope. That's the theme of my ebook, Hope for Hurting Singles. Some of the topics covered in this 146-page PDF ebook include: rejection, depression, self-esteem, fear, bitterness, and peace of mind. If you need encouragement to start 2014, this is the place to get it. 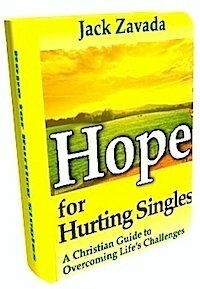 Hope for Hurting Singles is only $9.97 and may be one of the best investments you'll ever make in your future. And, unlike most books, it comes with a money back guarantee. I hope you'll check it out. Get off to a strong start after the holidays and keep it going through the whole year. Here's where to get more details on Hope for Hurting Singles. F'ree encouragement for every day in 2014! We singles can use all the spiritual help we can get, and here's a great booster at absolutely no cost to you. 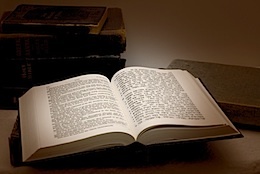 You can get a Bible Verse of the Day emailed to your inbox from the popular web site www.christianity.about.com. My friend Mary Fairchild is the Guide for this site, which is one of the most comprehensive sources of reliable Christian information on the Internet. These daily devotional verses take just a minute or two to read, but they're like a spiritual vitamin pill for your soul. Want your life to change this coming year? There's an old saying: "If you always do what you always did, you'll always get what you always got." In the coming year, Inspire-O-Gram is going to focus on changes we each need to make to experience a bigger, more joyful life. Change is hard, especially for those of us (like me) who are set in their ways. Stepping outside your comfort zone is always a challenge. But we need to try new things and step out in faith. God favors the bold! I want to thank you for your support in 2013. As usual, you can comment on this newsletter or make suggestions for future articles by using our fruitcake-free contact form. That's it for our December issue and for 2013, single friend. 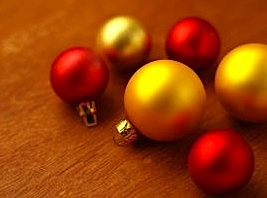 I wish you a serene, peace-filled Christmas and a healthy, fulfilling New Year. Never forget that God is on your side, and his help is only a prayer away!